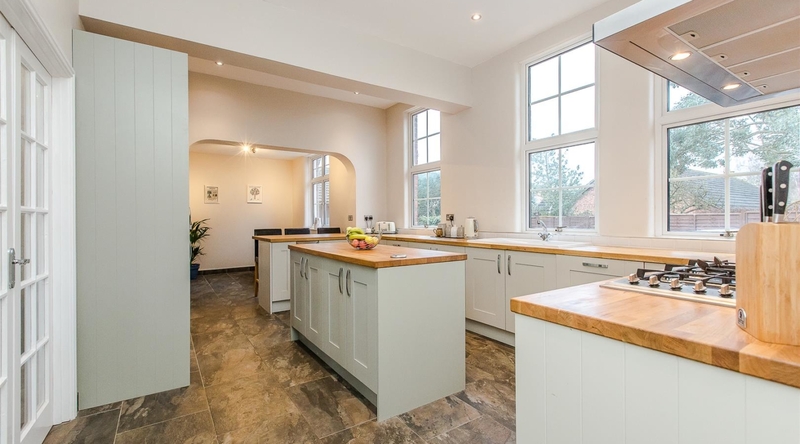 Gainsborough house is a unique substantial family home, which has been lovingly refurbished and renovated by the current owners. 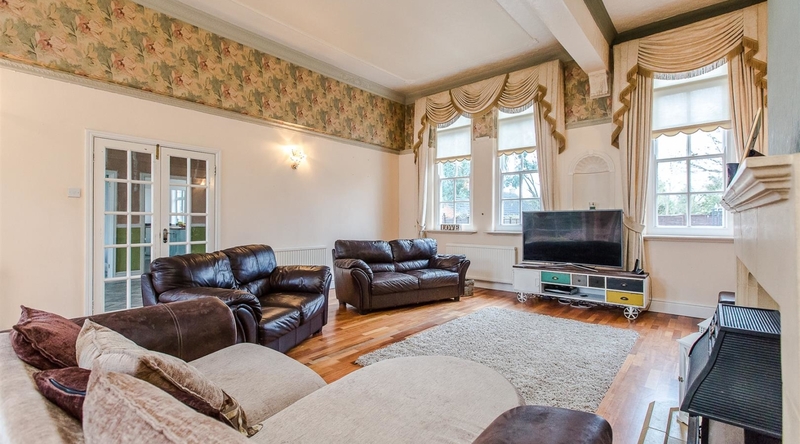 The former hospital has versatile living accommodation and boasts many charming features. 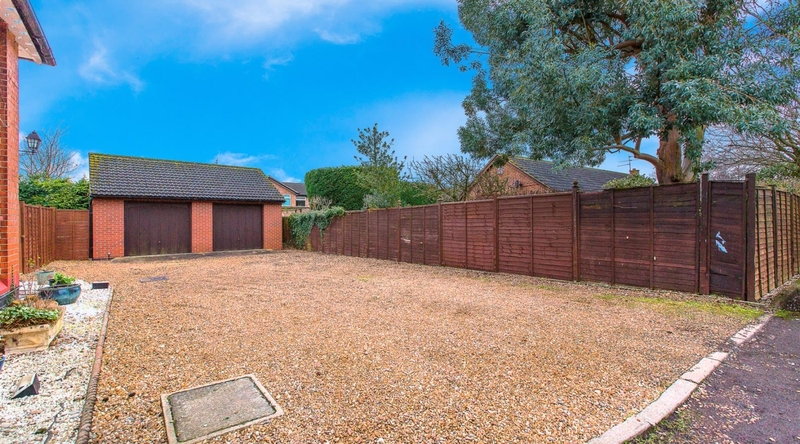 Situated on a generous corner plot and located at the end of a private drive and beyond electric gates. 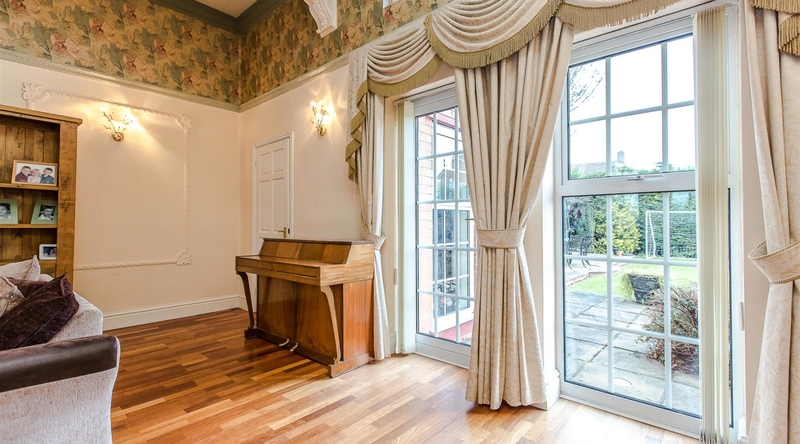 The property is entered via double doors, which provide access to the entrance hall and in turn the main hallway. 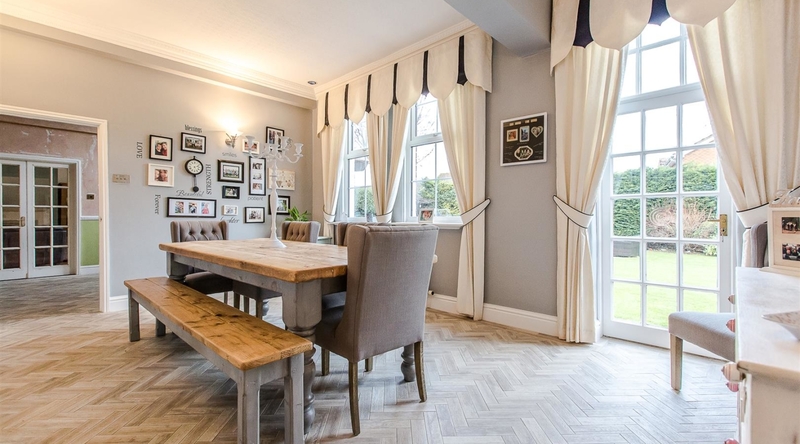 The main hall, with recently relaid flooring of porcelain tiles, provides access to the lounge, formal dining room and recently refitted kitchen / breakfast room. 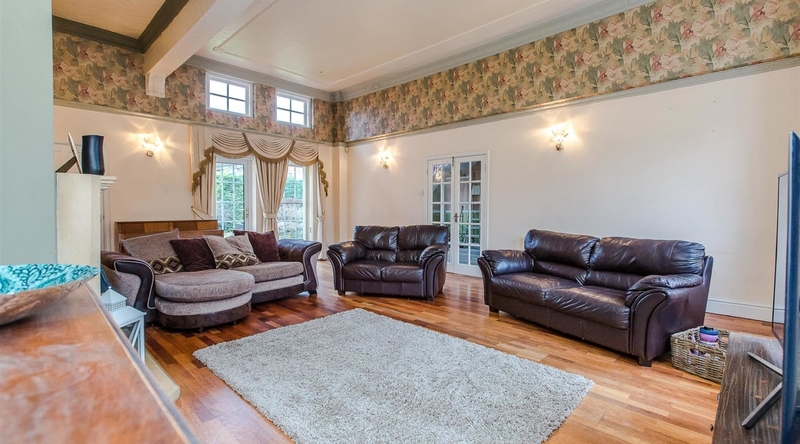 Double doors from the main hall provide access to the imposing main reception room, which has fabulous high ceilings, feature fireplace and access to the versatile study. 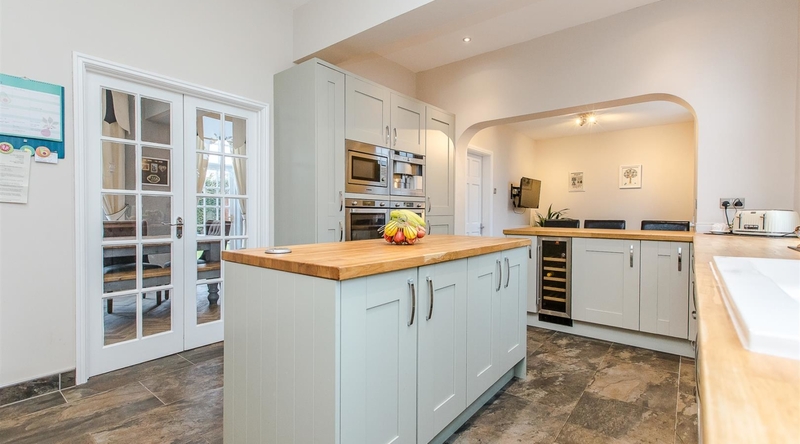 The 28ft Kitchen / breakfast room has recently been refitted with solid butchers block worktops to include a central island and breakfast bar, double eye level ovens, fitted microwave and inbuilt coffee machine, as well as integral wine fridge, fridge freezer and dishwasher. 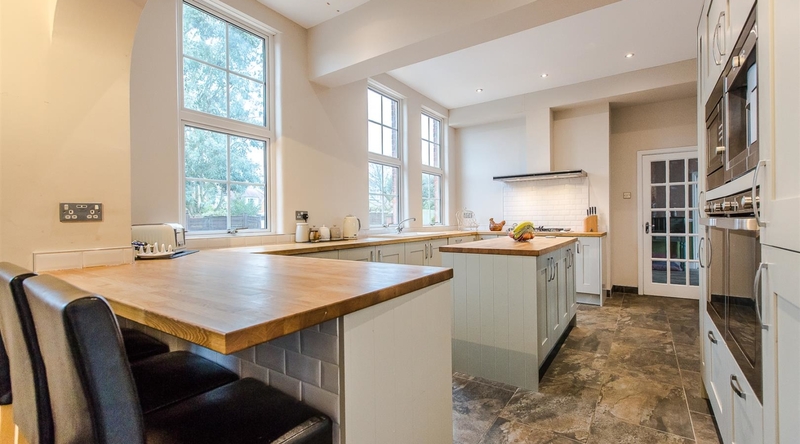 A 6 ring gas hob has metro tiled splash backs with extractor hood over. 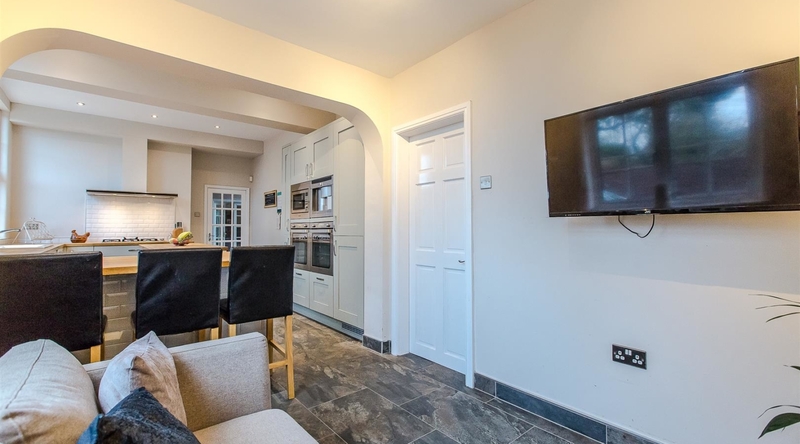 An inner hall leads from the kitchen to the rear garden, with access to a replaced WC and separate utility / boiler room housing a modern boiler, cylinder and plumbing for white goods. 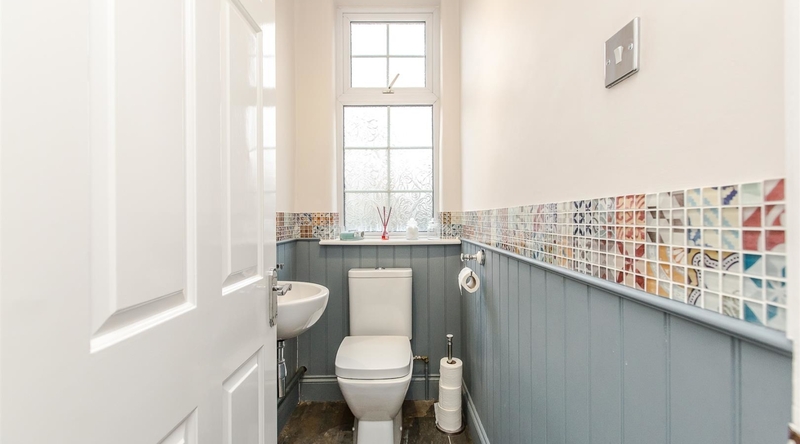 Double doors from the kitchen flow through to the formal dining room with relaid tiled flooring and windows facing out to the garden. 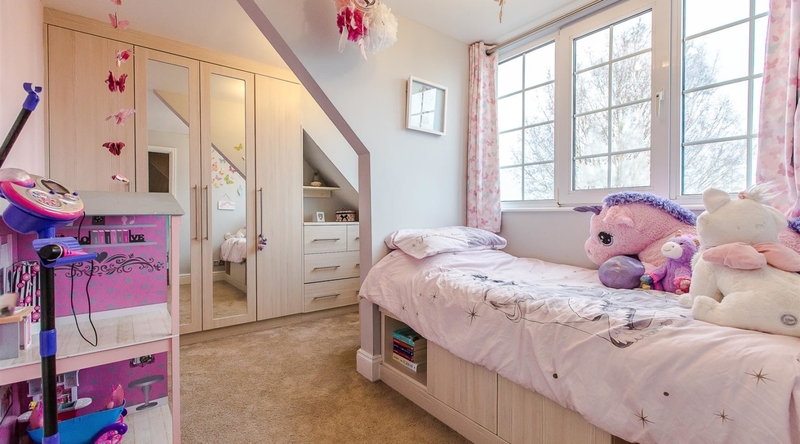 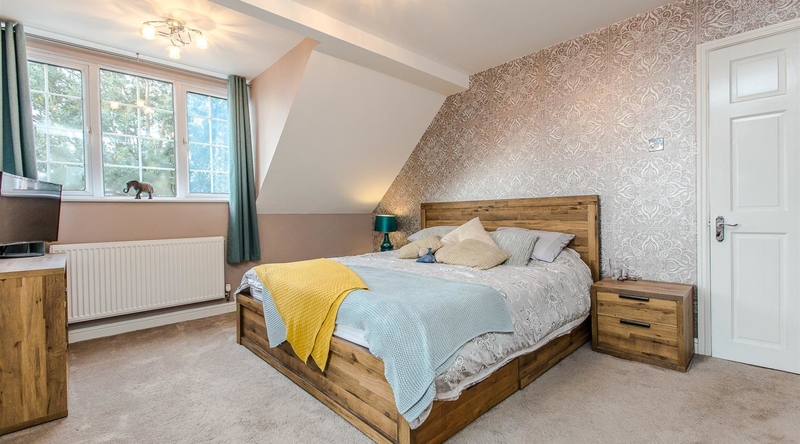 The galleried first floor landing provides access to four bedrooms and the refitted family bathroom. 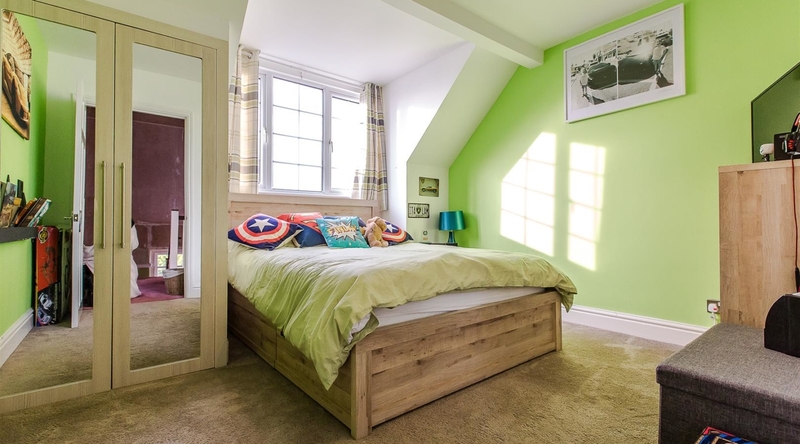 The master bedroom is double in size with separate walk in wardrobe area. 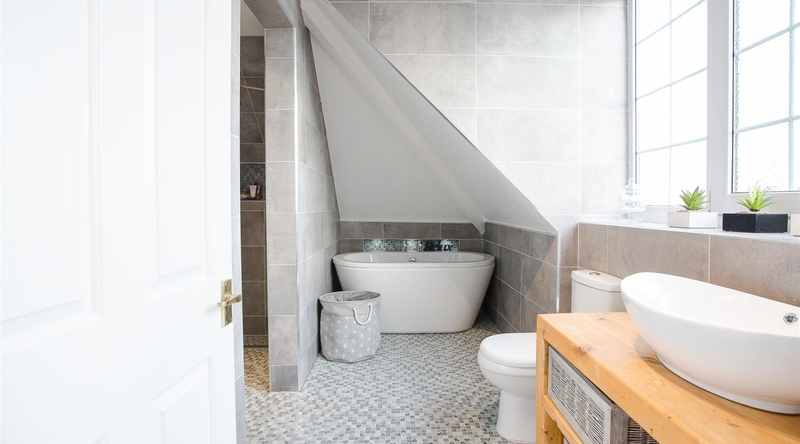 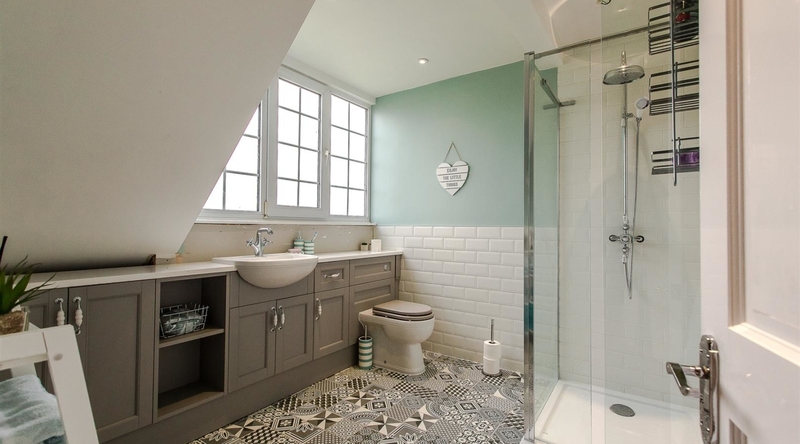 The stunning en suite with under floor heating is fitted with a half wet room shower area, stand alone bath as well as designer wash hand basin and WC. 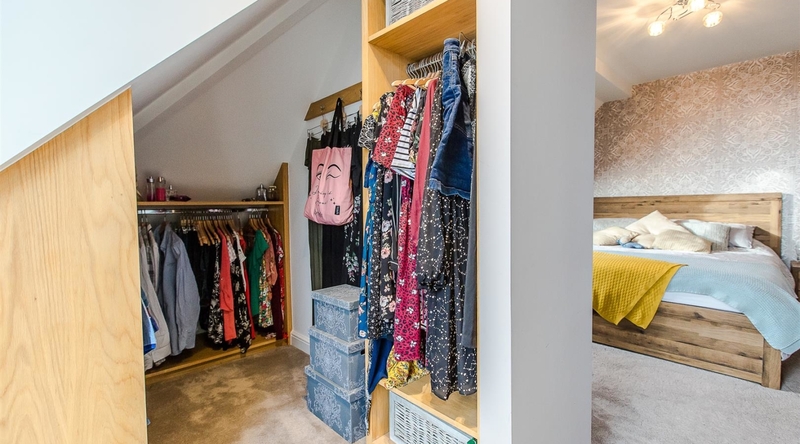 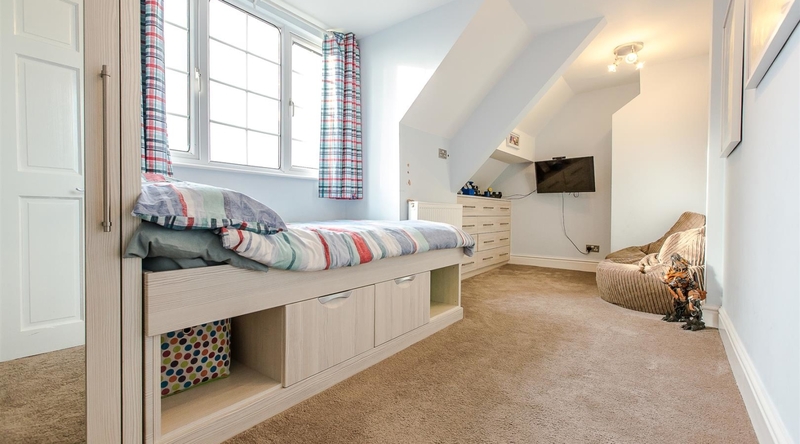 The remaining bedrooms are double in size, with the second and third bedrooms benefitting from built in beds and storage. 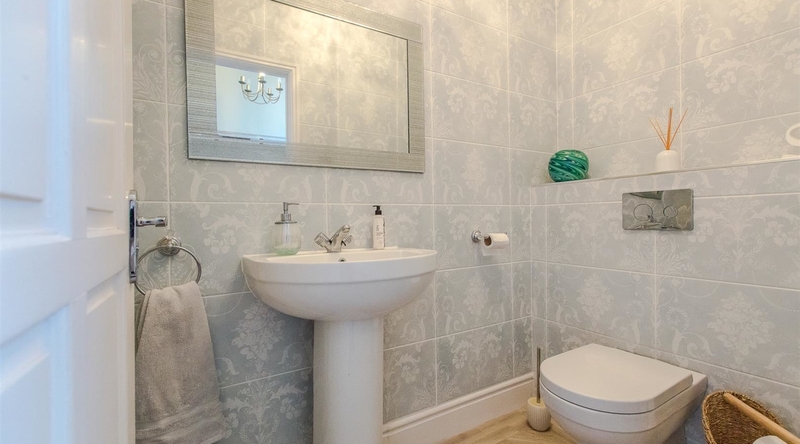 The family shower room has a double walk in shower cubicle, vanity wash hand unit and WC, heated towel rail and also boasts under floor heating. 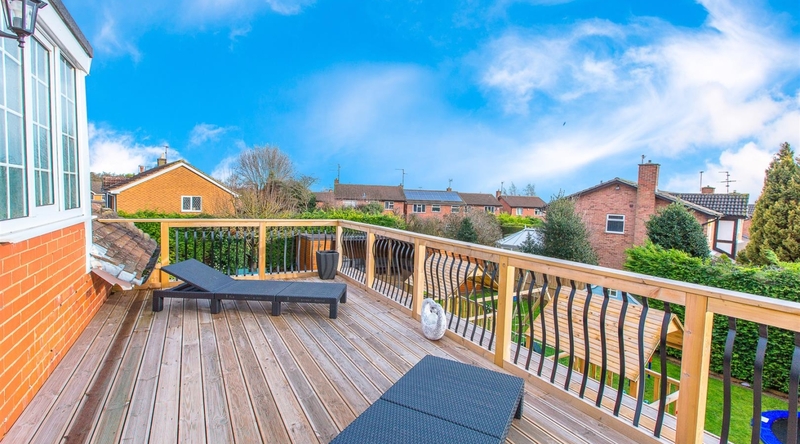 The beautiful private and enclosed garden to the rear of the property is predominantly laid to lawn with large patio dining area, flowerbed borders and established and mature privacy hedging. 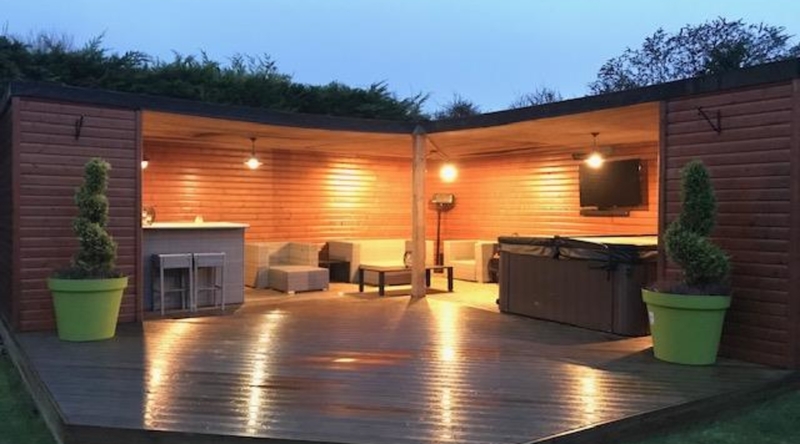 A large covered decked entertaining area is fitted with electric power and lighting, as well as Sky TV points. 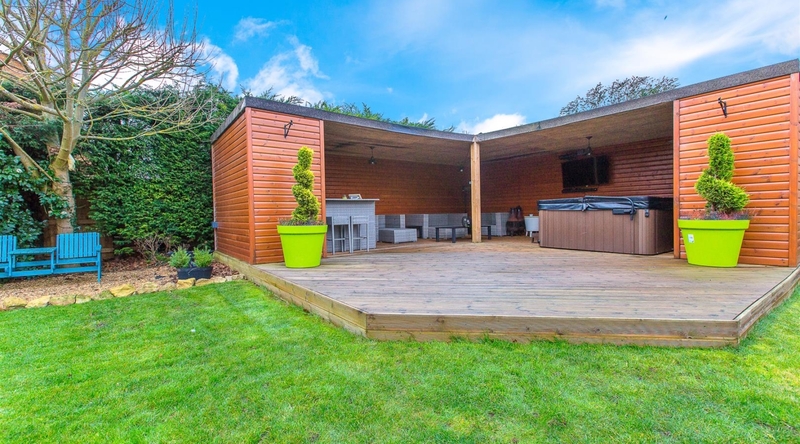 There is space for a hot tub and the lawn boasts an area for sunken trampoline. 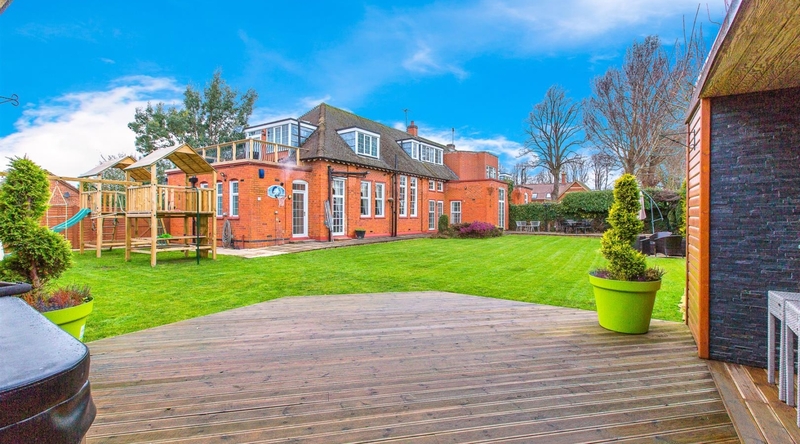 The large gravelled driveway includes a turning area an houses a detached double garage with power and light. 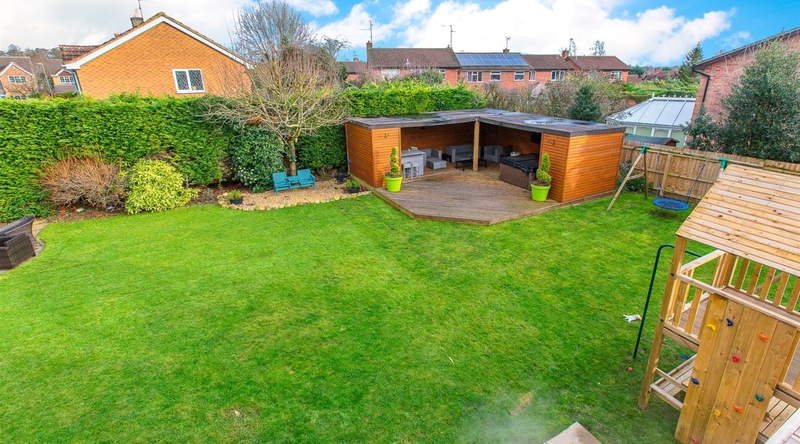 AGENTS NOTE: Planning permission was previously granted for a 4-bedroom detached home to be built in the gardens. 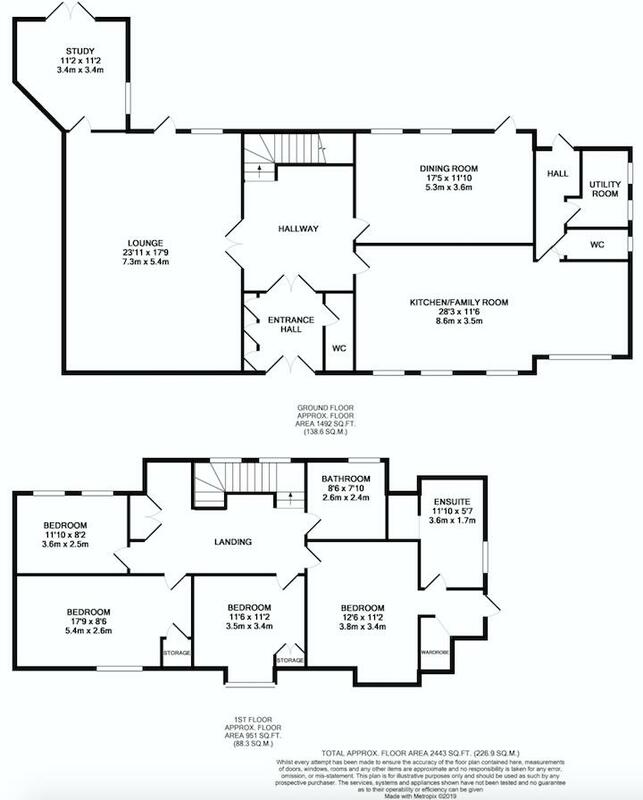 This has now lapsed but could be re-applied for.